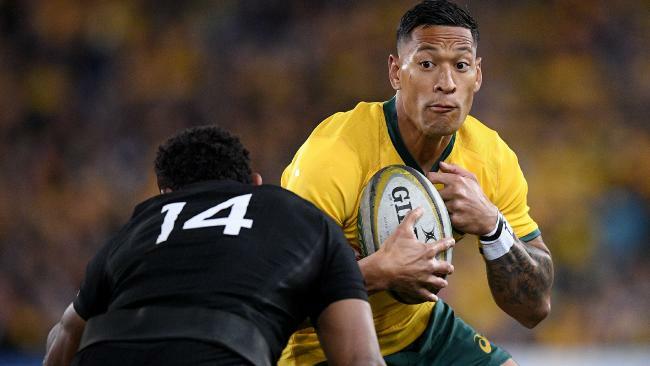 THE Wallabies will be without injured superstar Israel Folau when they attempt to win in Auckland for the first time in 1986 and avoid a 16th straight year of Bledisloe Cup despair. 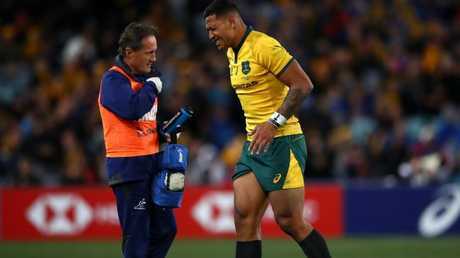 Folau departed ANZ Stadium on crutches after suffering an ankle injury midway through the second half of Saturday night's crushing 38-13 loss to the All Blacks in game one at ANZ Stadium. He was a no show at Sydney airport on Sunday, with coach Michael Cheika confirming the Wallabies would need a new fullback for Saturday's must win return bout against the All Blacks' at the Eden Park graveyard. "'He's just got a small tear in a muscle right down low. 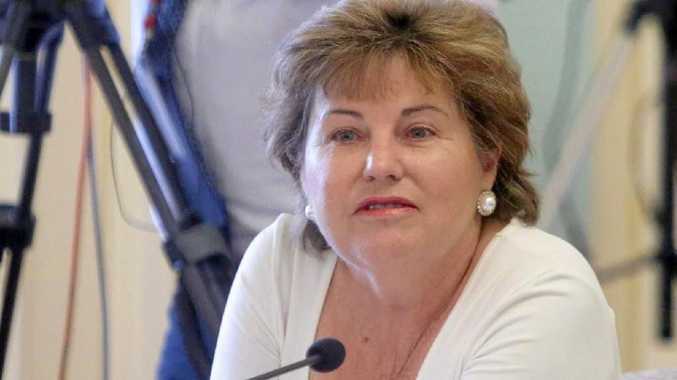 Quite rare really," Cheika said. "But it's actually not a long term injury at all, just a lot of swelling." Cheika was hopeful the three times John Eales Medallist would be back for Australia's third Rugby Championship fixture against South Africa in Brisbane in three weeks. Folau's unavailability leaves young guns Jack Maddocks and Tom Banks in line to fill the champion fullback's boots, though Kurtley Beale also looms as an option with Matt Toomua a candidate for inside centre. Maddocks scored Australia's only try on his Test debut after replacing winger Dane Haylett-Petty for the final 25 minutes on Saturday night and Cheika said he'd have no hesitation starting the 22-year-old. "I thought he did OK out there when he went on," Cheika said. "I haven't had a good look at it but he wouldn't have been on the bench if we didn't think he was ready to play. "He got a few touches and got a try as well so, yeah, I would imagine he would be there. "We've also got Tom Banks, who's an out-and-out fullback so we'll see where we end up." Of even greater concern for the Wallabies than being without their attacking trump is fixing their shaky set piece after losing seven of their eight lineouts and conceding several scrum penalties in the series opener. "We need to be disappointed about this result," skipper Michael Hooper said. "They put us under pressure, turned over the ball and they ran in some quality tries." The Wallabies kept the world champions scoreless until the 39th minute and led 6-5 at halftime, only to leak five tries after the interval in an all-too- familiar defeat at the hands of their clinical arch-rivals. All Blacks captain Kieran Read described Aaron Smith's try 90 seconds before the main break as the turning point. "It was crucial," he said. "They had probably dominated that half so for us to get back in touch on the scoreboard was great. "I think the resilience within the boys was awesome."